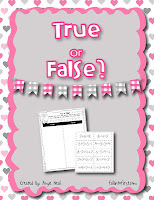 Today is my last Showin' Some Love Freebie! Thanks for stopping by my blog, leaving comments and feedback over the last 14 days! I love being part of the blogging and TpT community and I love hearing from everyone out there! 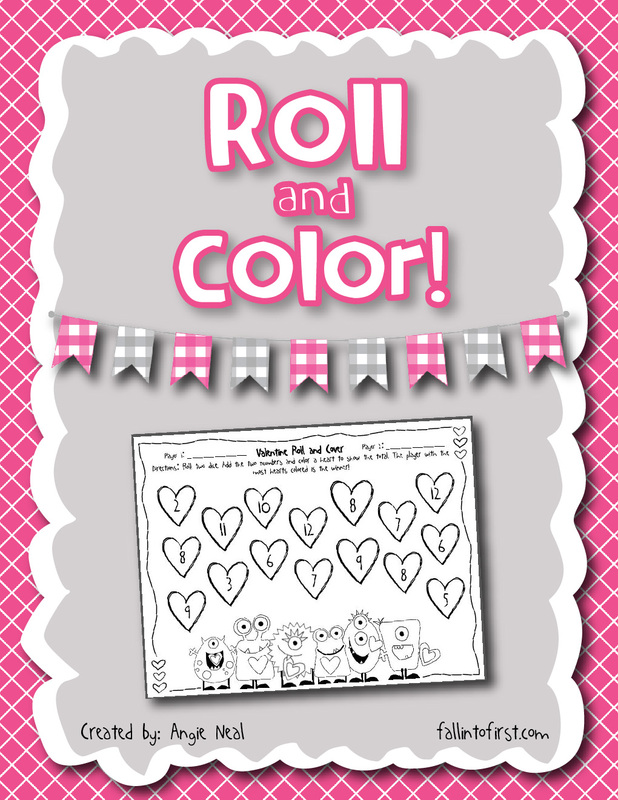 Today I have TWO freebies for you! I created both of these and couldn't decide which to offer as a free item so I just decided to give you both! 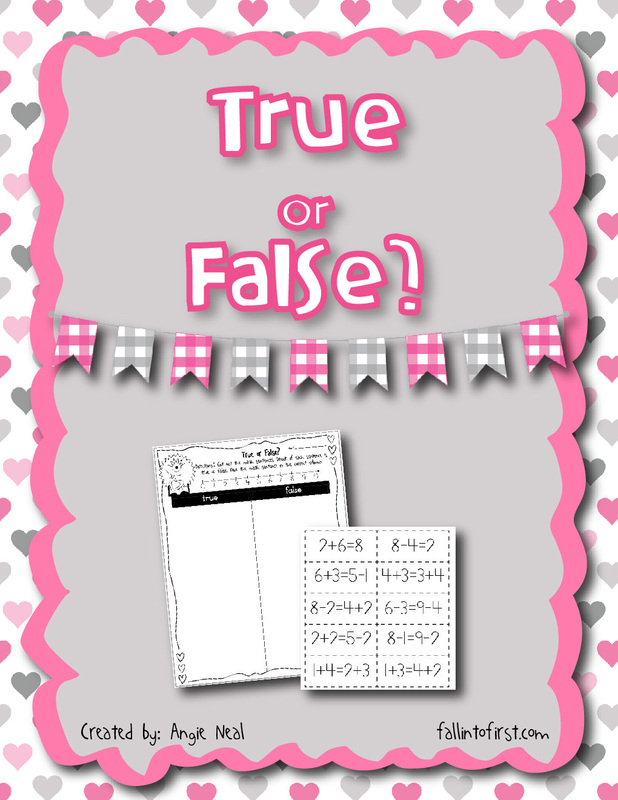 One is a Roll and Color game, my kids LOVE these games and they make a perfect math station so I thought I would share it with you and the other freebie is a True or False math sentence sort. I hope you have a wonderful day celebrating with your loved ones and a huge THANK YOU to all my wonderful friends who left feedback on the items they downloaded for free. I so appreciate you taking the time to do that. I read every comment posted and the positive feedback inspires me to continue creating and sharing with you. 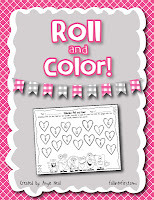 For those of you who missed the 14 days of freebies, you are in luck because I just bundled all of the activities and posted in on TpT. 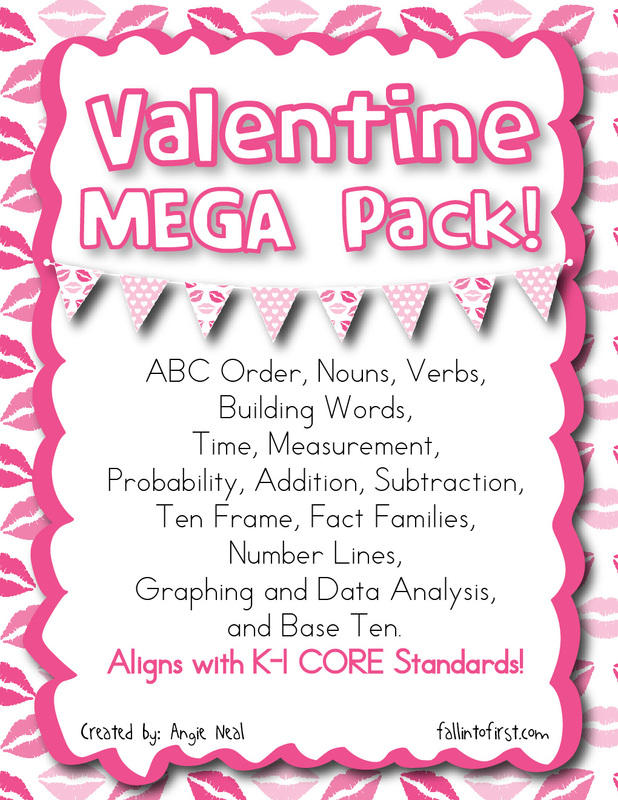 This MEGA Pack has over 100 pages of February activities/printables and games to address the CORE standards with your K-1 kids. 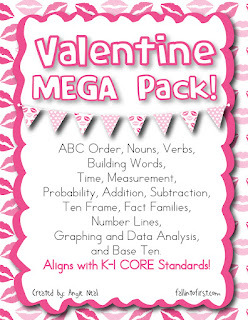 You can purchase each item separately for $2 but the MEGA Pack with all 15 packets is posted for only $12! Check it out here! Thank you for a wonderful 2 weeks of freebies. I'm bummed that I missed the place value one, but I got so many wonderful things that I have used and will use for years to come. Thank you for your generosity!